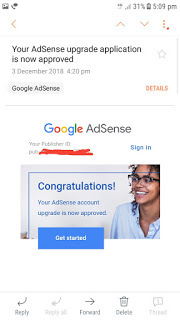 How to Get approval on adsense? Buy and use a custom domain name and connect with blogger or wordpress. Create a domain specific email address. Ensure you that use a clean and easy design. Ensure you don’t use any copyright images or text..